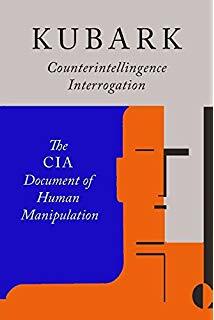 Of specific relevance to the current scandal in Iraq is section nine, “The Coercive Counterintelligence Interrogation of Resistant Sources,” (pp 82-104). Under the subheading, “Threats and Fears,” the CIA authors note that “the threat of coercion usually weakens or destroys resistance more effectively than coercion itself. The threat to inflict pain, for example, can trigger fears more damaging than the immediate sensation of pain.” Under the subheading “Pain,” the guidelines discuss the theories behind various thresholds of pain, and recommend that a subject’s “resistance is likelier to be sapped by pain which he seems to inflict upon himself” such rather than by direct torture. 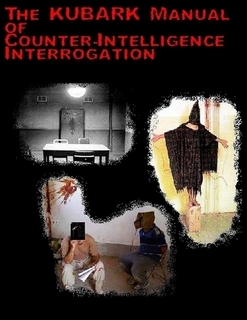 The report suggests forcing the detainee to stand at attention for long periods of time. A section on sensory deprivations suggests imprisoning detainees in rooms without sensory stimuli of any kind, “in a cell which has no light,” for example. “An environment still more subject to control, such as water-tank or iron lung, is even more effective,” the KUBARK manual concludes. Submitted by TRANSCEND member Satoshi Ashikaga.